Home > Projects > Projects - FAQs > How do Multiple Currencies Work in Avaza? With Avaza you can use multiple currencies, including setting a default currency for your account as well as setting individual currencies for your customers. 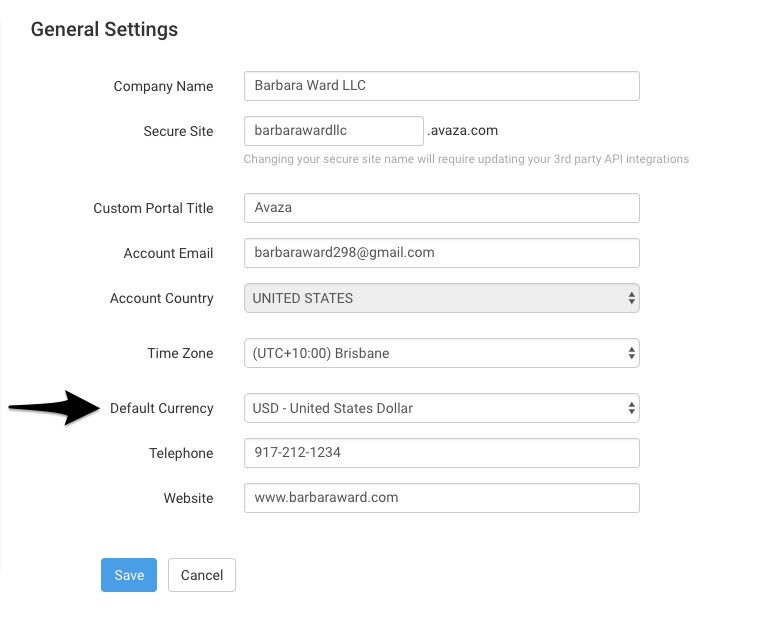 The base currency selected while creating a new Avaza account is used as default when creating new customers. However, you can select a different currency for your customer. All financial transactions (Quotes, Invoices, Expenses) that are in the currency different to your account base currency are saved with an exchange rate for easy financial reporting in your base currency. The customer currency is applicable to all projects, invoices, estimates, credit notes and payments for that customer. When you create an invoice or estimate for a customer, it will carry the default currency assigned to that customer and show the appropriate exchange rate. Business expenses can be recorded in any foreign currency. Based on the expense entry date, we fetch the appropriate exchange rate, which can also be manually updated if required. Any expense charged to a customer will be converted to the customer currency when added to an invoice. You can also view any amounts owed in different currencies for each customer.